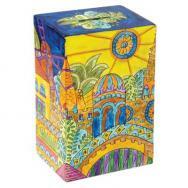 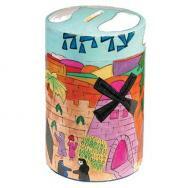 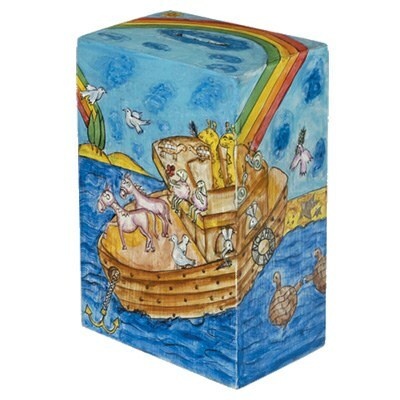 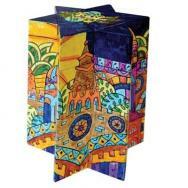 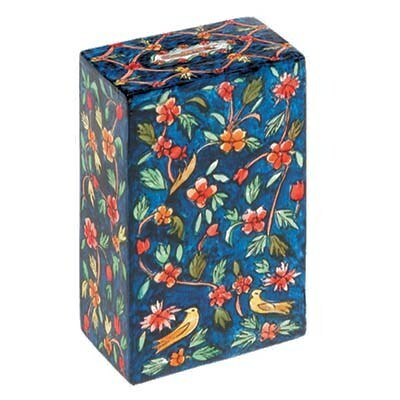 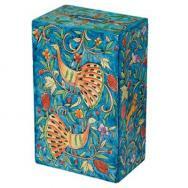 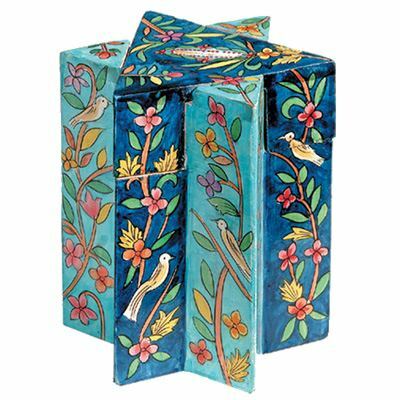 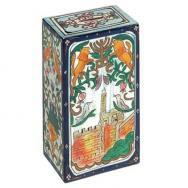 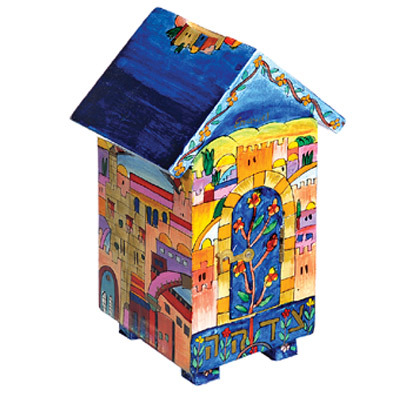 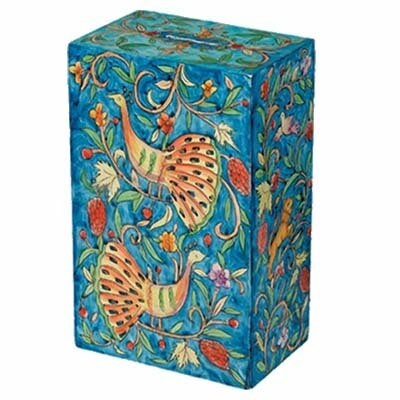 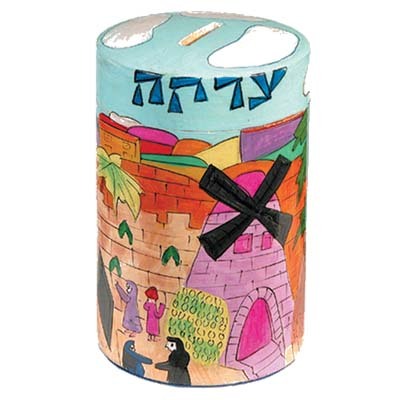 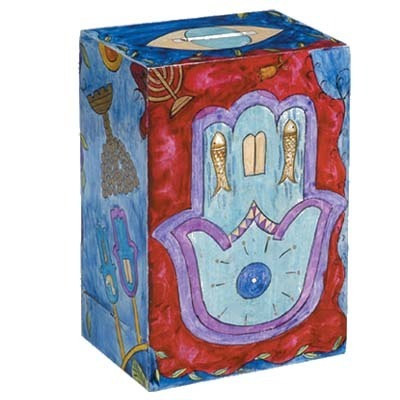 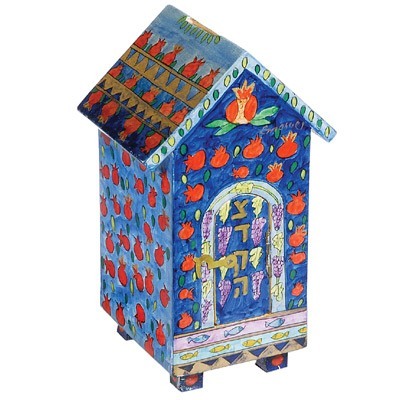 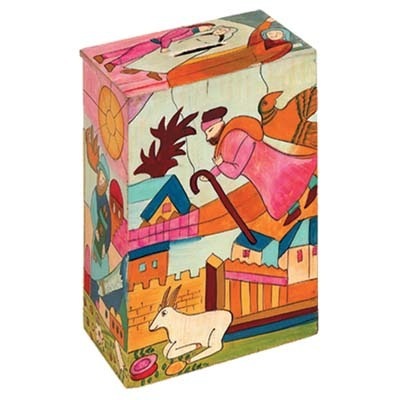 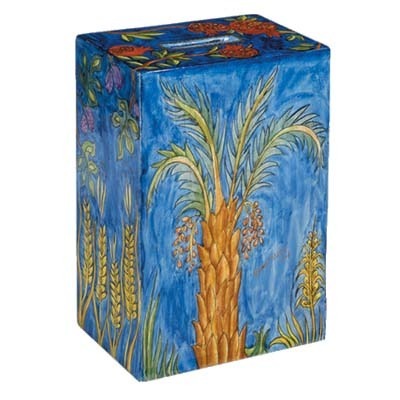 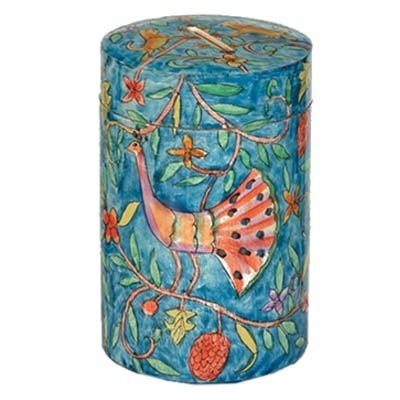 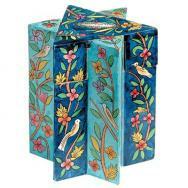 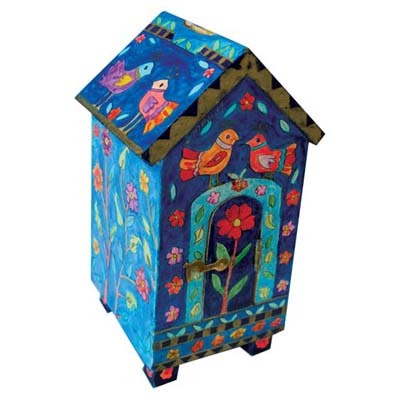 Yair Emanuel’s tzedakah boxes are exquisite works of art, adding color and beauty to the Jewish home, and used as presents for Bar and Bat Mitzvah celebrations and for various events. 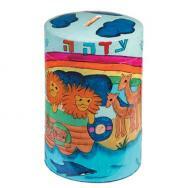 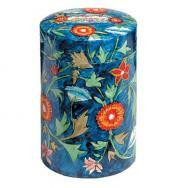 The tzEdakah boxes are hand painted over wood with a brush, and then lacquered. 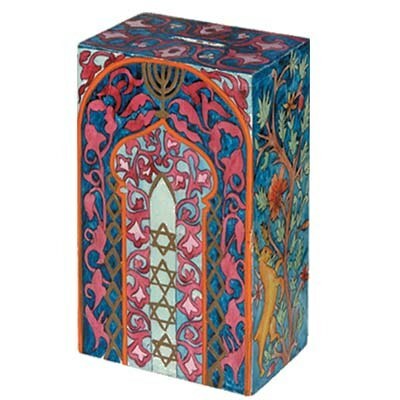 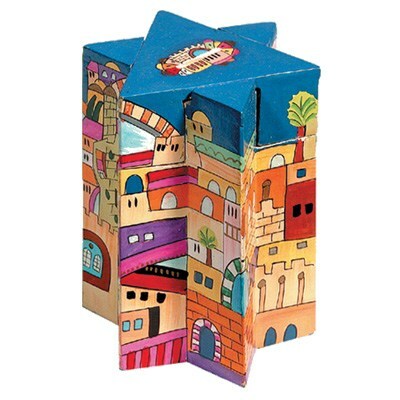 All boxes are designed in various shapes such as the Star of David, a house, and a cylinder. 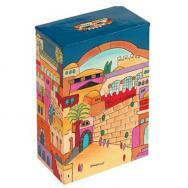 The designs on the boxes depict the city of Jerusalem, the Seven Species, oriental designs, Jewish motifs such as pomegranates, and Noah’s Ark.